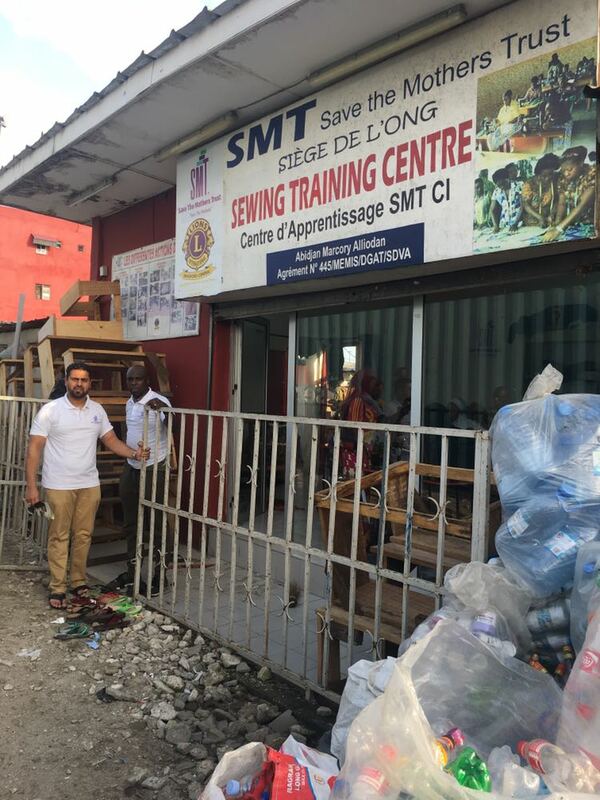 Bradford Central Lions Club jointly with their partner Charity, Save the Mothers Trust (SMT) have opened a Sewing Centre in Marcory, Abidjan in Ivory Coast. The Centre which is jointly funded by Bradford Central Lions Club and Save the Mothers Trust trains poor widows to sew clothes and become self-sustained. The Centre has so far trained 20 widows and hence able to work and provide for themselves and their children. This is an ongoing project and any member of public can be part of this and help Bradford Lions and SMT to make the poor self-sufficient and independent in third world countries. Donate only £50 towards a Sewing Machine or sponsor a widow from £35 per month.